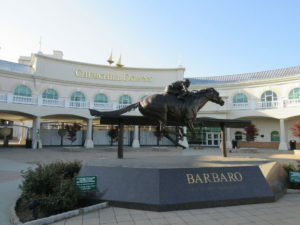 Today, Churchill Downs Racetrack is owned and operated by Churchill Downs Incorporated. Churchill Downs currently holds the record for the longest-running, continuous sporting event in the United States. I appreciate having the fabulously talented Irish designer Claire Garvey to call my friend, as she has kindly made me a fascinator for the event. 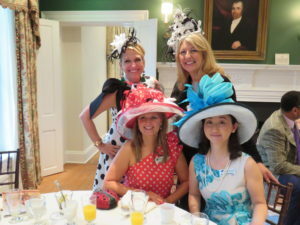 Some of the ladies hats have cost several thousands of dollars. 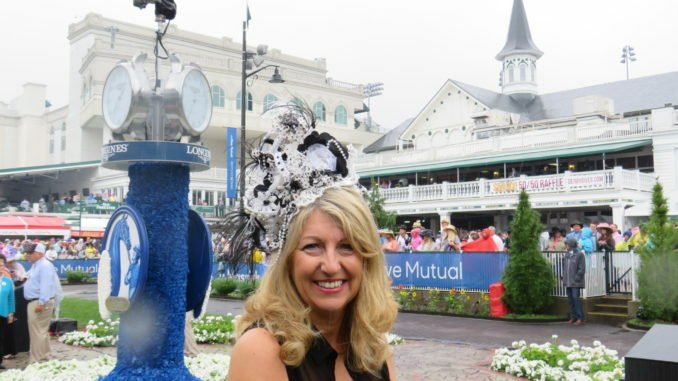 A year in the planning, it’s a known fact that ladies chose the dress to go with the hat and that fashion is as much a part of the Derby as the horse racing. Days events start at about 12pm with 12 races. The Star spangled Banner is being sung by the Pentatonix, probably America’s most lauded Acapella group, and a few moments later the trumpet sounds the off. How to bet? Get the terminology correct as it’s different to Ireland – I bet to show when what I really wanted was each way – but that isn’t an option in America – it’s called across the board. The two minutes that follow the off are laced with cheers and main contenders as Audible, Good Magic and Justify. The fancy hats bob up and down as punters urge their horse to win. It’s the wettest Derby Day in history and has been raining solidly for hours but the excitement isn’t dampened as there’s a personalised 24 carat gold trophy at stake and a pot of 1.4 million for the owner of the winning horse. My money was on Mendelssohn, the Irish horse hotly touted by someone I know!! − He doesn’t suffer jet lag among other great virtues. But it isn’t to be my day as the favourite is Justifiably the winner, and is covered in a blanket of roses as he enters the paddock. Justify is with trainer Bob Baffert and tipped to be in line to win the coveted triple crown of racing this year which will guarantee a place in the history books and hugely lucrative future for his owner in stud fees. What is the process in making one of these horses so unique? 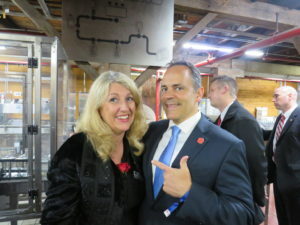 I knew none of this before my arrival to Lexington the day before, but I became an expert on the dietary, sleeping and training habits of the thoroughbreds over my three day stay at Lexington. My first lesson on arrival to Kentucky was at Claiborne Farm near Paris and home to War Front, a stallion whose services are requested at 250,000 dollars a pop and with three sessions a day in the honeymoon suite with various mares it’s little surprise that he is valued at 80 million dollars. Costs of running this farm run into $5 million per year. In the grounds lie the gravestones of famous thoroughbreds who served out their days here − most notably Secretariat who became a Triple Crown winner in 1973. It’s tradition to put a coin on his headstone to bring luck, but it didn’t seem to work for me. Kentucky is very similar to Kildare. One major difference is the famous blue grass which gives its name to the music and the pretty landscape. Why are the horses so healthy and strong? They are fed by natural spring water is what gives this state two of its most important industries, horse breeding and bourbon. How is Bourbon different to Whiskey? “Not all bourbon is made in Kentucky but 100% of the best is,” I’m told by Steve at the Jim Beam factory. 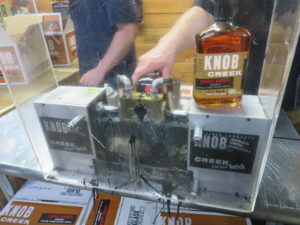 Bourbon distilleries are dotted in every corner of the state but Knob Creek is a select bottle that I get to see being bottled from a single cask. Knob Creek is named after the farmstead where native Abraham Lincoln spent his early years. Next up I visit Alltech, an Irish company and manufacturer of high grade animal feed, founded by the late Irish entrepreneur Pearse Lyons who passed away untimely in March. His wife, Deirdre, graciously continues his legacy along with her son Mark at the plant’s distillery where whiskey and beer are produced. 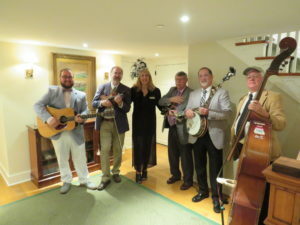 The strong Irish connection is felt all over Kentucky and it is not just with the horse racing and whiskey. 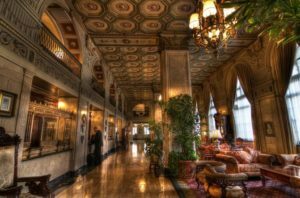 Where to stay to enjoy the Derby at its best? The Brown Hotel in Louisville, listed on the national register of Historic Places. It too has a great Derby tradition with flowing bowls of red roses filling the elegant reception. Home also to the Hot Brown, a delicious ham and cheese dish, is still being served as the ultimate bite to eat after a night’s dancing. Rumour has it that Mr Brown likes to stick around the 13th floor and who can blame him as the club lounge has tasty treats and drinks throughout the day from breakfast time. You can even have a bottle of beer brewed at Alltech. Right beside the Governor’s Mansion is a good view of the Capitol which rivals the finest in any state. Set in a valley in the picturesque town of Frankfort, a river runs through it and I learn another fact, Kentucky has more rivers and water frontage than the coastline of Florida so although it is landlocked it’s easy to find a creek or river to picnic or enjoy nature. Daniel Boone paved a route to Kentucky in 1775 and is buried in the graveyard on a picturesque setting overlooking the state capital. His route through the Appalachian Mountains in the east was followed by 200,000 before the end of the 18th Century and is now the gateway to the Daniel Boone National Park. 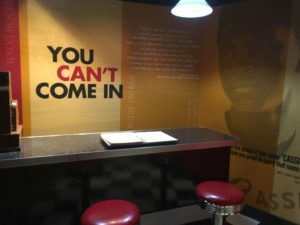 The Muhammad Ali Centre set at the riverfront in Louisville. Filled with personal artefacts, videos and interactive exhibits it is popular with anybody looking to be inspired. Based on the six core principles that Ali lived by Conviction, Confidence, Dedication, Giving, Respect and Spirituality, it is where tributes were made at the time of his death two years ago. Ali won a gold medal at the Rome Olympics in 1960 and on his return to Louisville he was met with a parade and great celebrations. He was to meet his friends after the event to eat in a diner where they were told they couldn’t be served – Ali is supposed to have chucked his medal into the river after saying it was worthless and it has yet to be found! Ali is buried not far away, another fascinating fact that I didn’t know about this Kentucky native. If you love Corvettes – and 21st century manufacturing technology – now is the time to visit the GM Corvette Assembly Plant, which reopened in October 2013 after a $131 million upgrade. Among the changes: a new body shop where, for the first time, the aluminum frame for the all-new 2014 ‘Vette Stingray is being built in-house. Plan ahead for plant tours and register online in advance. (Tours run Monday-Friday, except holidays and when company business sometimes calls for cancellation of a tour). If you’re traveling on a weekend or can’t make a factory tour, you can still get a detailed, close-up look at the history of America’s most famous sports car by visiting the National Corvette Museum–one of the most popular Bowling Green attractions–where more than 70 examples (including prototoypes) can be viewed – and where you’ll also find the Corvette Cave-In exhibit recounting the infamous sinkhole that swallowed eight Corvettes in 2014. See the recovered cars, some restored and some beyond repair, and then sneak a glimpse of the cave below through a viewing window in the floor. 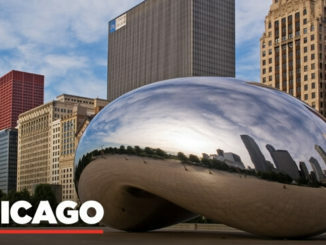 American Airlines operates up to five daily flights from Dublin and Shannon to Chicago, Philadelphia, New York and Charlotte. 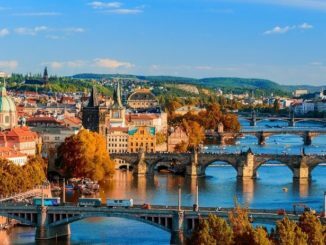 This year, all of American’s flights from Ireland offer fully lie-flat Business Class seats, premium ‘Casper’ bedding and celebrity chef inspired menus. 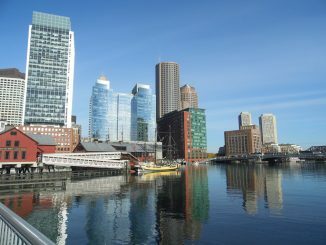 American is the first airline to offer transatlantic Premium Economy on flights from Ireland – now available on services from Dublin to Philadelphia and Charlotte. For more information or to book, visit www.americanairlines.ie or call 0818-710-299.